Everyone who follows me on snapchat knows how much I love my facemasks, I have a solo party in my bathroom while using products that were highly recommended or had great ratings. I do a lot of research on masks before I buy them. After the struggle I had with acne, I am still on the pursuit to fresh, glowing, even-skin tone. 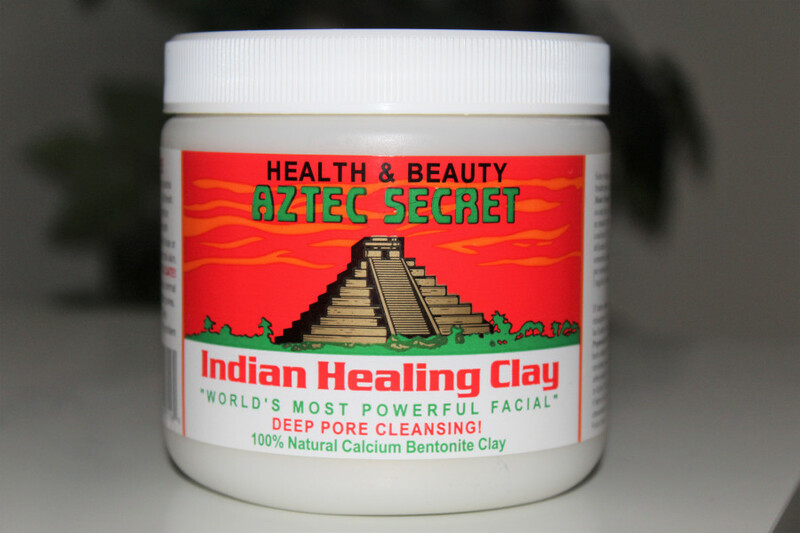 One highly recommended product I have been getting emails about is the AZTEC SECRET Indian Healing Clay also known as the Worlds Most Powerful facial for deep cleansing of the pores. The first time I used it was the day after I spent all day at a water park, under the blazing hot sun. I needed a facial really bad. Now let me tell you the Aztec Secret mask does great wonders. 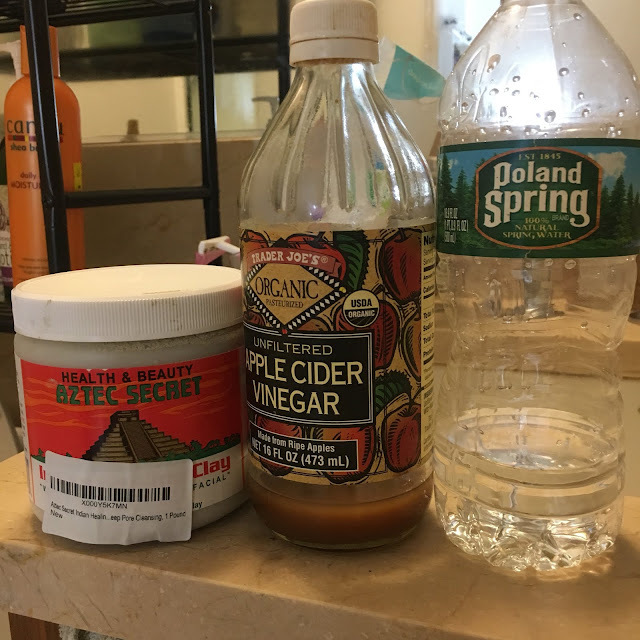 I mixed the Aztec Secret clay powder with water and apple cider vinegar, until it became a thick paste, I rubbed it all over my face and neck. The box says you should let it dry for about 20 minutes before rinsing off. After 20 minutes on my face, I still had some wet patches so I let it sit for another 10 min, making it 30 min in total. When this product starts to dry up, you can feel a tingle and the tightness and it pulsates. Making you know something is definitely working. This product gets very tight as it dries, so tight that you can barely move your lips or eyebrows. But then it’s sucking all the oils in your pores which limits bacteria from forming. I will advice not to laugh or stretch for face while the mask is on because you might damage your pores. When it was time to rinse of, I jumped into the shower, because I figured it will be too messy in my sink and might clog my sink pipes if it isn’t flushed down with lots of water. Once water touches it, it starts to melt off your face. It easily comes off. After rinsing off, I splashed cold water on my face to close my pores and then pad dry with a towel. Then I use vitamin C serum and my Vitamin E night cream to get that nice glow by morning time. I notice a difference in my skin after my first use. I noticed my acne reduced in size tremendously, some even vanished. 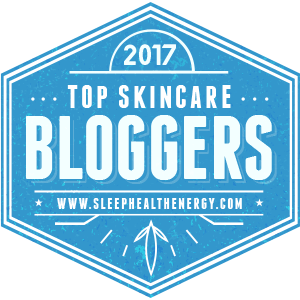 My skin felt smoother and softer, and it eased the pain from cyst acne. - Aztec Secret is an easy mask to make. 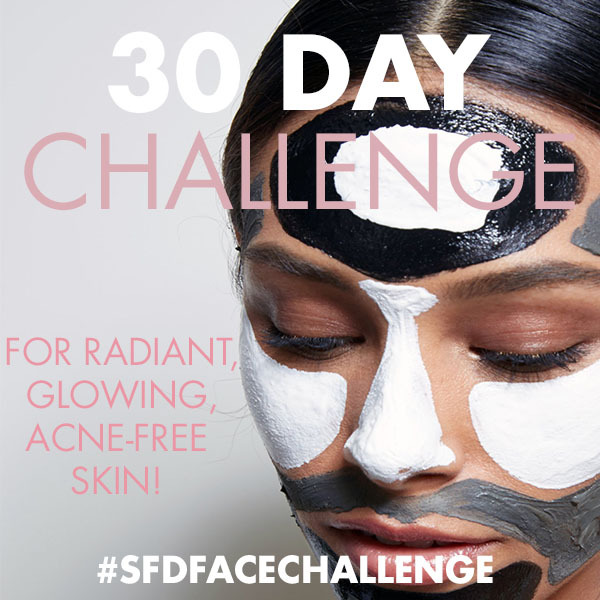 - If you have oily or acne prone skin, use this mask twice or three times a week. - It’s great for clearing your skin to reveal brighter skin. - You can use it for acne spot treatment. - It improves skin clarity. - It’s cheap and very effective. It cost about $10. - A little goes a long way, so it will last you a long time. I have used this mask three times in the past week, and I am very impressed by the results so far. I love it. I noticed a difference after just one use. In one week, my skin looks clearer. I plan to add it to my weekly masking routine for the whole summer. I can only imagine the awesome results in the next month. 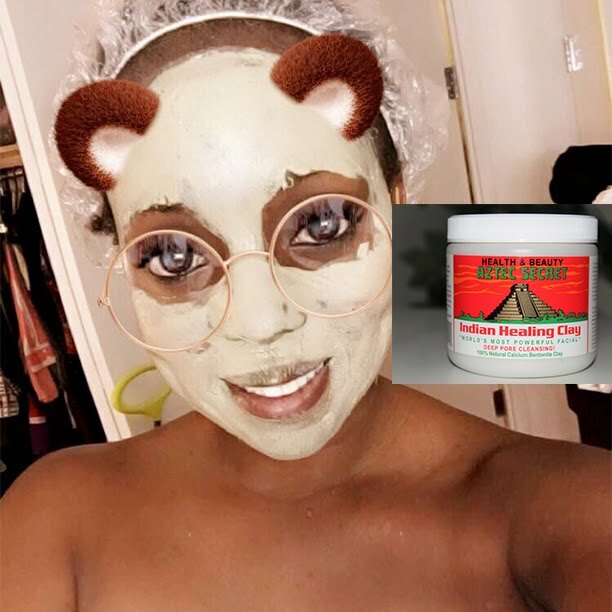 If you are looking for a new face mask to try and want to purchase this product, its available on amazon, here. It’s worth every dollar. Hope you find this helpful and useful. 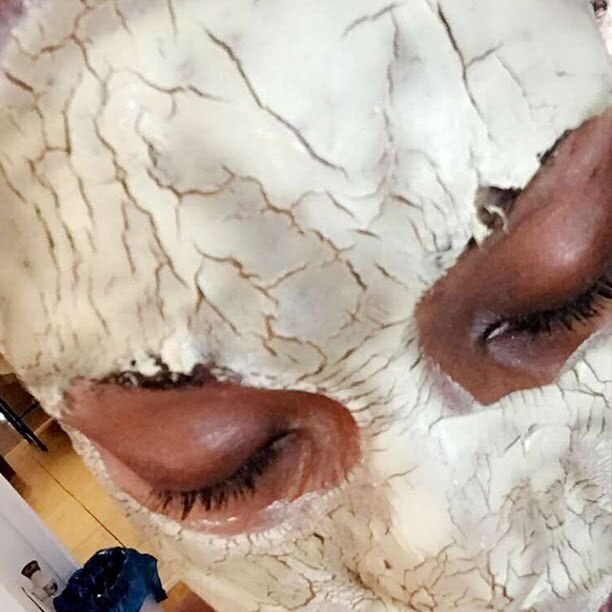 If you give this mask a try, keep me posted on your results – I think you’ll be pleasantly happy with the results. Anyone tried this mask? Share your experience! Hi. Uhm what happens if I use cold water and not warm water during the removal of the mask?